One of my favorite perks at Viget are the two community service days we’re given each year to help out causes that are important to us. It’s a wonderful opportunity to step back from our daily routine, connect with the local community, and give back. 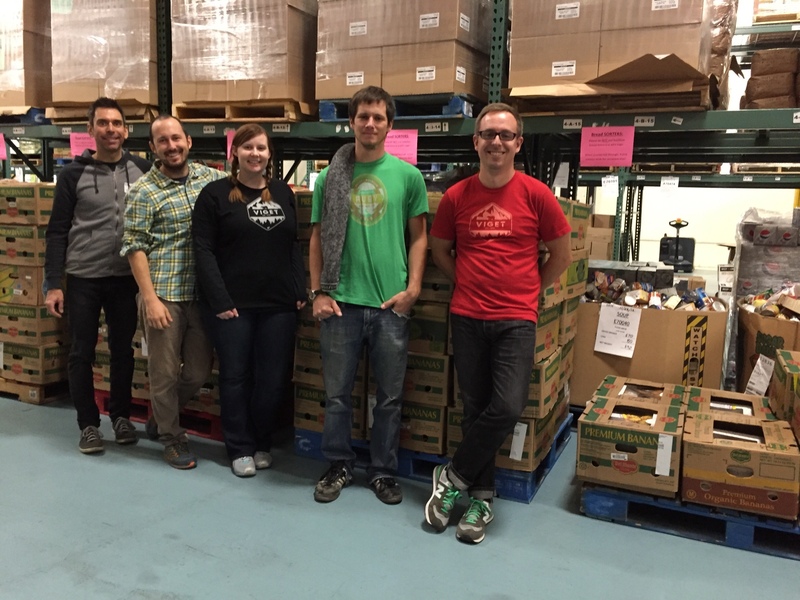 Over the holidays last year, I spent time volunteering at Community Food Share — the food bank for Boulder and Broomfield counties. I shared my experience with the other folks in the Boulder office and we decided to return this year to volunteer as a group. We recently spent the day at their warehouse and assisted with a variety of tasks. Community Food Share receives food from many different sources and all of that food must be reviewed to ensure that it’s safe for consumption and then properly sorted. Volunteers are integral to this process. While looking at many pallets of the same item may sound monotonous, it was a fun change of pace from our typical daily activities. We enjoyed our time volunteering at Community Food Share and look forward to helping the organization out in the future. If you’re in the Boulder area, consider volunteering. They offer a range of opportunities for both individuals, families, and groups.